This high capacity color cartridge gives you more than twice the number of pages than the standard capacity cartridge while priced only a little higher. 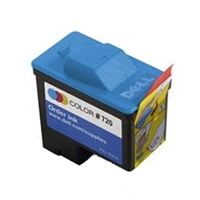 This cartridge offers great value with a lower cost per page than the standard capacity print cartridge. 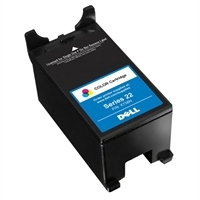 This high capacity ink cartridge yields approximately twice the number of pages than the standard capacity cartridge while priced only a little higher. 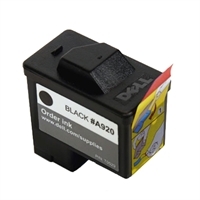 To complement the full selection of Dell printers we have for sale we also offer accessories including official Dell ink cartridges. Our options cover a variety of different uses allowing you to select the perfect product for your needs and get it at an amazing price thanks to our official Dell Premier partnership.